Unique formulation and processing technology greatly increase Bio availability. Contains no animals products. Manufactured in accordance with GMP standards for quality assurance. Protected against Oxidation by Patented Oxygen elimination active packaging system. Commitment to Excellence: Biotiva® will not compromise in the relentless pursuit of human health. For 12 years of age or older take ne or two capsules before breakfast. Not to be used by children under the age of 12 or by pregnant or lactating women without the recommendation of one's physician. Keep in cool dark place or refrigerate. Replace cap tightly after use. For 12 years of age and older take one or two capsules before breakfast. Pregnant or lactating women contact physician first. 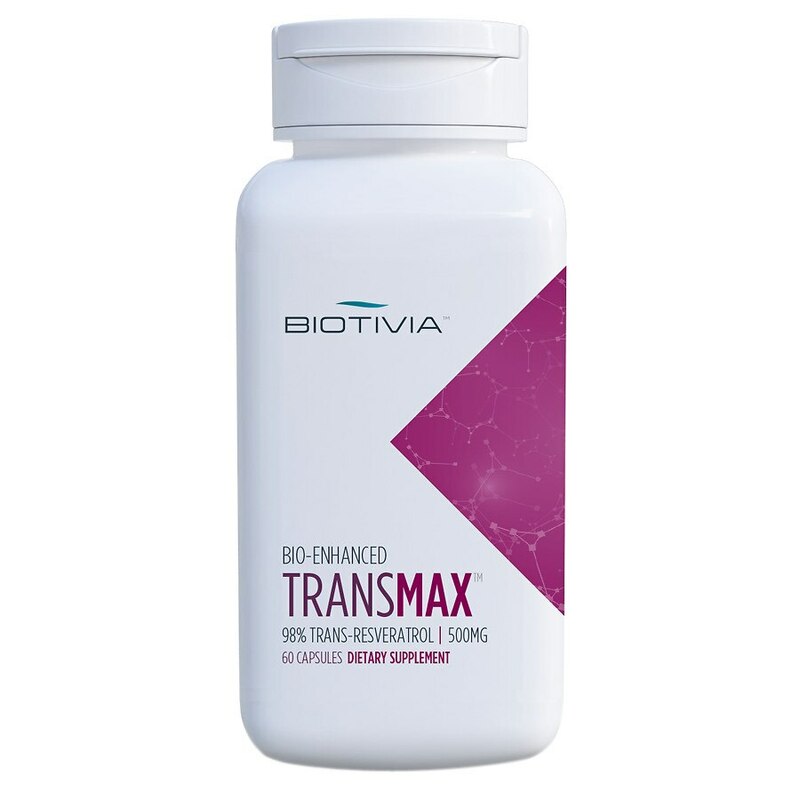 Transmax is not intended to prevent, cure, diagnose or treat any disease.